Professor Egil Robert Ørskov OBE FRSE is a farmer and agricultural scientist who has made huge efforts to help students, researchers and scientists from low-income countries to better manage their feed resources, increase animal productivity and facilitate poverty alleviation. 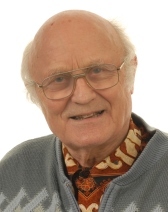 Prof essor Ørskov’s work in research and development projects has taken him to many countries, mainly in Asia and Africa, and his understanding of the needs of the small farmer, and of the poor of the world, has led to an ever-increasing involvement with international agencies and universities in the developing world. One of twelve children, born on a small family farm in Jutland (Denmark), Professor Ørskov worked as a hands-on farmer from a very early age, attending school every other day for seven years. During National Service he discovered the facility for learning and entered agricultural college, going on to Copenhagen University and eventually obtaining a PhD at the University of Reading. He went on to join the Rowett Research Institute in Scotland, where he led a group that became the International Feed Resources Unit. The Unit was later transferred to the Macaulay Land Research Institute, a predecessor of the current James Hutton Institute. Professor Ørskov has made a prolific, original and varied contribution to our understanding of the principles and practice of the nutrition of farm animals. Recognition of his work has led to numerous awards, notably an OBE in 1988 and election to the Royal Society of Edinburgh in 1991. Professor Ørskov is a significant figure in international development: throughout his career he has provided the mentorship and guidance for others to stand on his shoulders, and make a difference to the world. The Ørskov Foundation aims to build on his legacy and ethos, to continue his contribution to development.